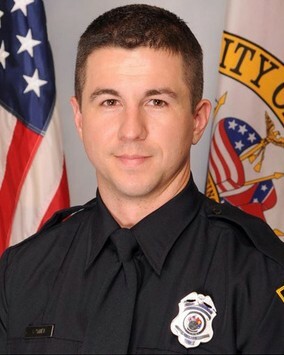 Police Officer Sean Tuder was shot and killed as he and several other officers attempted to serve an arrest warrant at an apartment complex at 1545 Leroy Steven Road at 3:00 pm. The wanted subject had local and federal warrants for several charges. During the previous week, he had faked his own abduction in order to avoid reporting to jail. Shots were fired as officers attempted to take the man into custody and Officer Tuder was fatally wounded. The subject was taken into custody at the scene. Officer Tuder was a member of the Alabama National Guard and had served with the Mobile Police Department for three years. He had previously been recognized as Officer of the Month.